Despite the fact that many details of the Queen's income are released publicly, her exact wealth is not known. That is because the Queen is not required to reveal her private finances. According to the Sunday Times Rich List 2015, her estimated fortune is £340m, up £10m from last year. What is known about the Queen's wealth can be broadly divided between her private income and funding given to her, as the reigning monarch, by the government. The main source of the Queen's public income comes from the Sovereign Grant - a fixed percentage of the profits made by the Crown Estate. The Crown Estate dates back to 1760 when George III reached an agreement with the government that surplus revenue from the crown's lands would go to the Treasury. In return for this, the King had no longer to pay for the cost of civil government and debts accrued by previous monarchs and would receive a fixed annual payment. Since then, every succeeding monarch has renewed the arrangement. Today the Crown Estate is an independent commercial property business, with one of the largest property portfolios in the UK and a capital value at a historic high of £11.5bn - up 16.1% on 2014. The majority of the portfolio's assets are in London, but the estate also owns property in Scotland, Wales and Northern Ireland. Holdings include Windsor Great Park and Ascot racecourse, but the majority of the portfolio is made up of residential property, commercial offices, shops and business and retail parks, and includes almost all of Regent Street in London's West End. Under the current funding arrangement, all profits from the estate are paid to the Treasury and 15% of this money is then given to the Queen. This funding is known as the Sovereign Grant and is used to support the Queen in her official duties. Last year the Sovereign Grant was £37.9m - of which the Queen spent £35.7m. That money pays for staffing costs, property maintenance, travel, utilities and housekeeping, among other things. Technically the Crown Estate belongs to the reigning monarch for the duration of their reign, but in practice it cannot be sold by them. The privy purse is a private income for the Queen, which is primarily used to pay for expenses incurred by other members of the Royal Family. Funds for the privy purse come mostly from the Duchy of Lancaster, a portfolio of land, property and assets owned by the Queen which is managed separately from the Crown Estate. The portfolio consists of 18,454 hectares of land in England and Wales and comprises commercial, agricultural and residential property. Though it is classed as the Queen's private estate and is inherited, it cannot be sold by her. Like the Crown Estate, the profits from the Duchy of Lancaster go to the Treasury, which then give funds to the Queen to provide for expenses not covered by the Sovereign Grant. 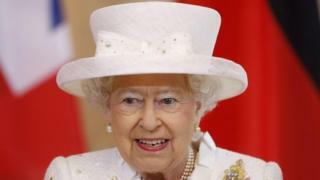 This year the Queen's private income was £13.3m, of which the main contributor was the Duchy of Lancaster portfolio. There is even a government role, the Chancellor of the Duchy of Lancaster, whose duties include the administration of the estates and rents of the Duchy of Lancaster. That post is currently filled by Oliver Letwin, the MP for West Dorset who also has overall responsibility for the Cabinet Office. Separately, income from the Duchy of Cornwall funds the private and official expenditure of The Prince of Wales and The Duchess of Cornwall. Both have been made exempt from paying corporation tax by the government because they are Crown bodies. The extent of the Queen's private income is less well known. According to the Sunday Times, she has an investment portfolio consisting largely of shares in blue-chip British companies, which it valued at £110m. The Queen also owns personal property including Sandringham House in Norfolk, Balmoral Castle in Aberdeenshire and other smaller houses. Other personal goods include the royal stamp collection, art, jewels, cars, horses and the Queen Mother's legacy, which all add to her personal fortune. Separate to goods owned by the Queen is the Royal Collection, which includes the Crown Jewels and works of art. It contains more than a million objects and is worth £10bn, but it is not included in the Queen's wealth because it is held in trust for her successors and the country. It includes old master prints, historical photographs, furniture, books and other works of art. It is kept in a number of locations, including Hampton Court Palace and Windsor Castle.